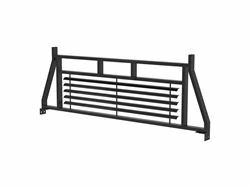 Aries Headache Racks are made from 1" x 2" carbon steel tubing and provide excellent protection for your truck cab, from impacts and sun damage. The tubular design offers a solid frame structure, while the carbon steel construction supplies superior strength. 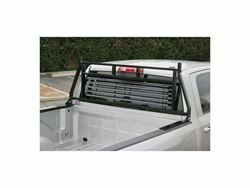 Aries Headache Racks bolt directly to the walls of the truck bed to create a reliable barrier between the bed and the cab. The louvers of the headache rack span the full length, blocking direct sunlight and keeping your cab cooler throughout the work day. The louvers are also made of high-strength carbon steel, allowing them to easily protect the rear of the cab from loose cargo. 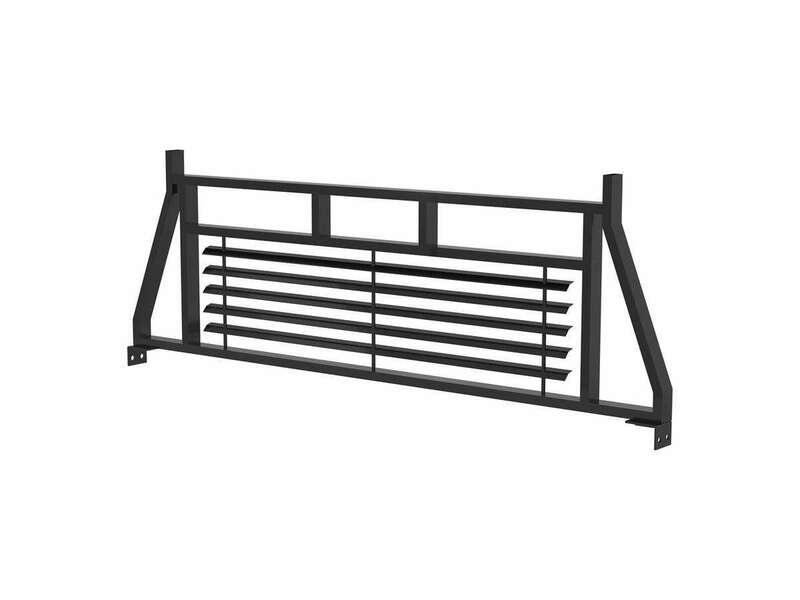 These racks are coated in a semi-gloss black powder coat finish. The powder coat easily resists rust and UV damage for a long-lasting shine, and it provides a thick skin against chipping and scratches to resist abrasions from cargo. Installation of the Aries Headache Rack is quick and easy. It comes with all necessary installation hardware to quickly and securely bolt onto your truck and has a universal design to complement your truck's style. 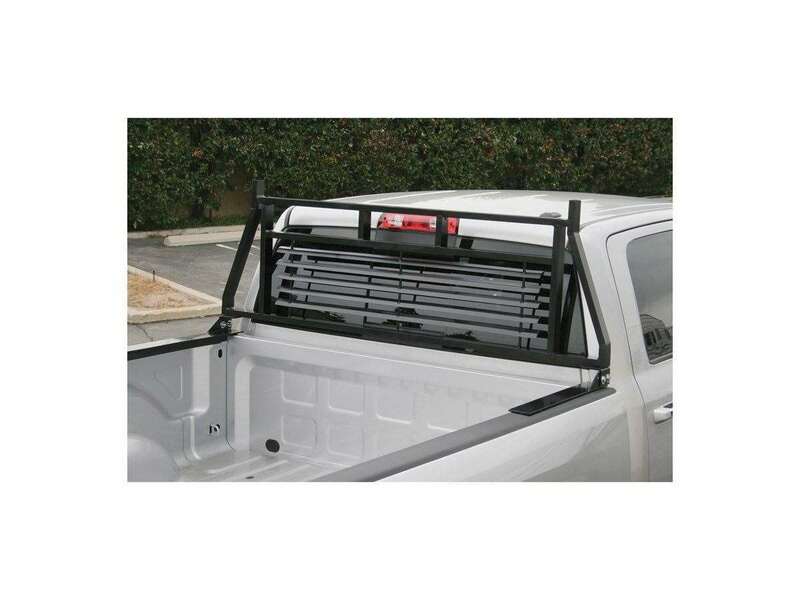 Their are two sizes available to fit a variety of full-size pickup trucks, including certain Dodge, Chevy and Ford pickups, and they are compatible with cross-bed tool boxes for maximum functionality.